There is something magical about November and early December on Kauai. 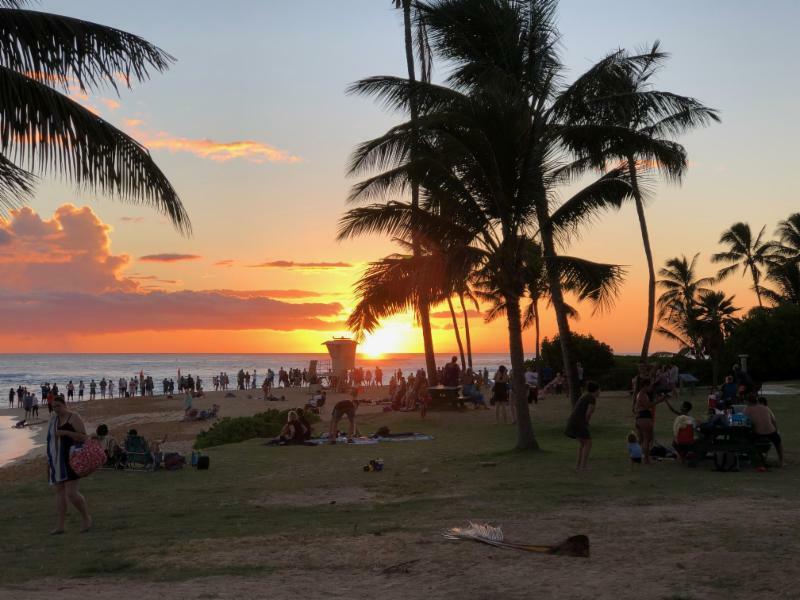 Perhaps it is because the evening sunset is earlier and there is ample time for sundowners and to enjoy time at the beach before needing to start dinner preparations and putting keiki to bed. From Fall to Winter the sun sets between 6pm and 6:30pm. In the summertime the sun sets much later between 7:15pm and 7:25pm. 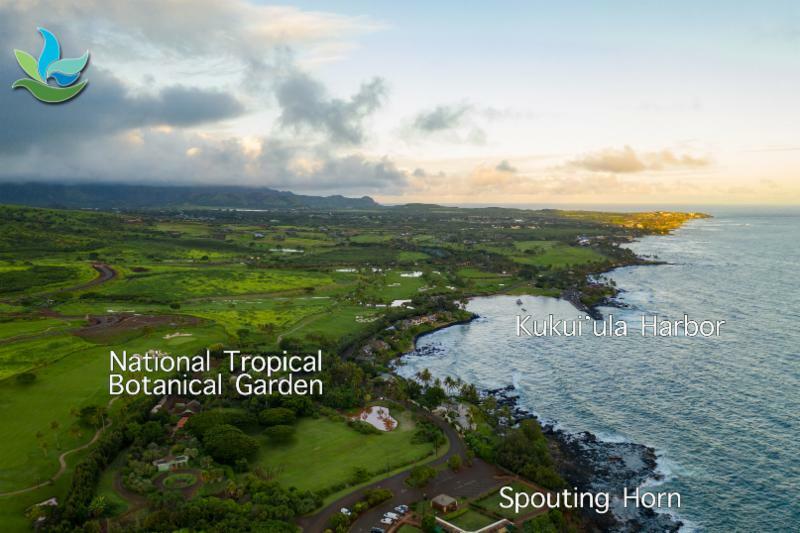 Also at this time of year, Kauai is more accessible for budget travelers who can take advantage of the lower rates for airfare and accommodation. For the best last minute travel deals on oceanfront vacation condos visit our website and start packing to make your dream of a vacation on the Garden Island of Kauai your reality! Sunset at Poipu Beach Park. 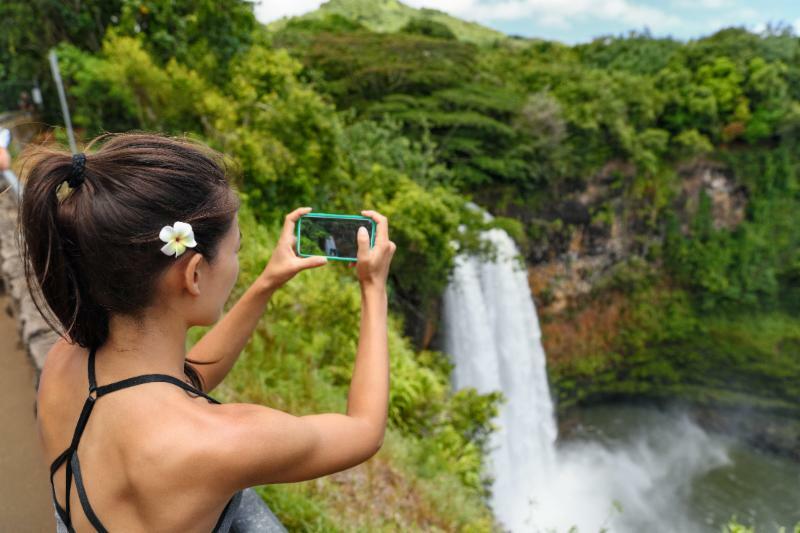 Follow @ kauaivacations on Instagram to share the aloha and discover all that Kauai has to offer for your next adventure! The south shore of Kauai is revered around the world for its beauty and almost constant sunny weather! This is the ultimate destination for travelers that are seeking a resort atmosphere that is not overly crowded or developed. 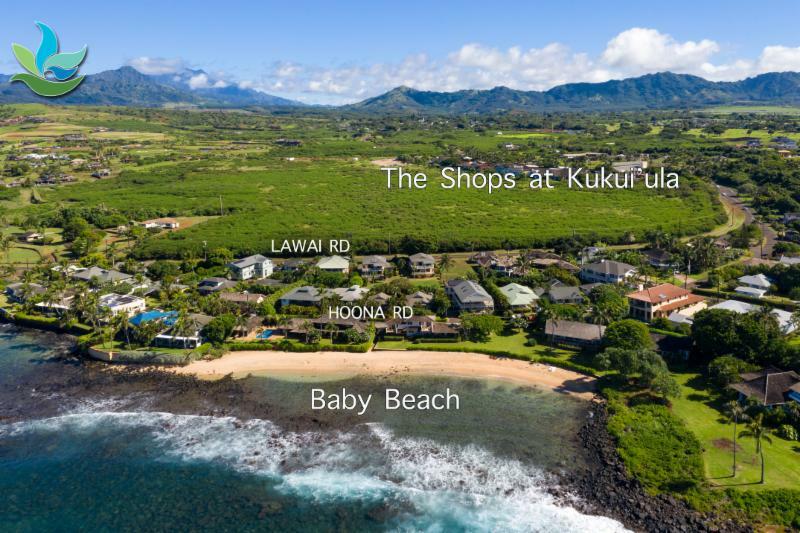 Poipu offers a variety of vacation accommodation including well known resorts such as the Marriot Waiohai, Grand Hyatt and Sheraton Kauai as well as desirable vacation rentals condominiums and private vacation homes. All of these are and easily accessible to white sand beaches that are perfect for swimming, snorkeling and surfing all year round. Our vacation accommodations offer amenities such as oceanfront pools, access to fitness facilities and a wide array of shopping boutiques, farmers markets, fishmarkets and fine-dining restaurants all within easy walking distance. Baby Beach is a south shore gem to know especially if you are vacationing with small kids, This sweet little crescent cove is protected by the reef fronting the quaint residential neighborhood between Whalers Cove and Kuhio Shores. Baby Beach is a secluded place on the south side where local residents (and visitors in the know) bring their keiki (toddlers) to play in the ocean and to learn how to swim for the first time. The water is only a couple of feet deep in a high tide with gentle waves that roll onto shore. Baby Beach is perfect for young kids to run around and to explore the rock pools when the tide is low. This is also a cute spot to teach your toddler to surf by pushing them in onto the sand on a soft foam board! It's where our kids first learned to stand and balance on a board! 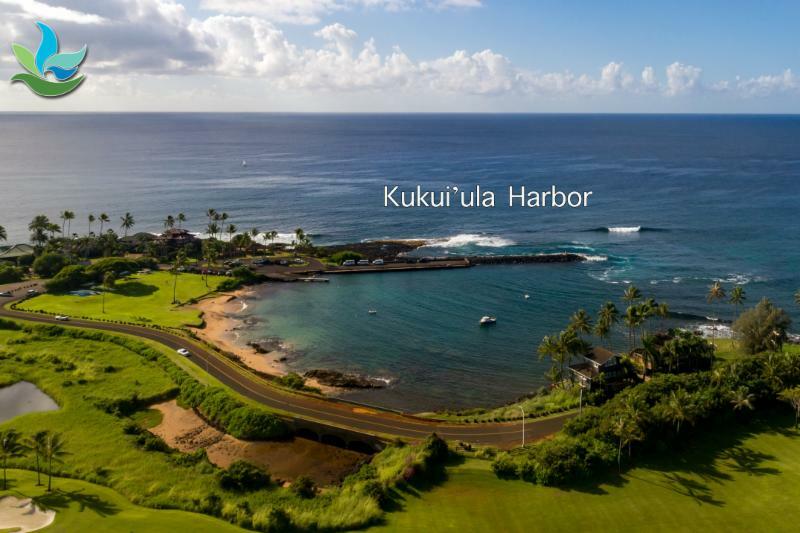 Kukui’ula Harbor is the perfect hang out. Restrooms and sheltered pavilions are available as well as an expansive lawn that is great for picnics at sunset. The gentle bay is also a favorite for young kids to swim and play. Fishing is a popular activity from the pier. Sunset sailing tours and dive fishing boats use this recreational harbor along with Kukui’ula Outrigger paddlers that meet here in the evening to canoe. 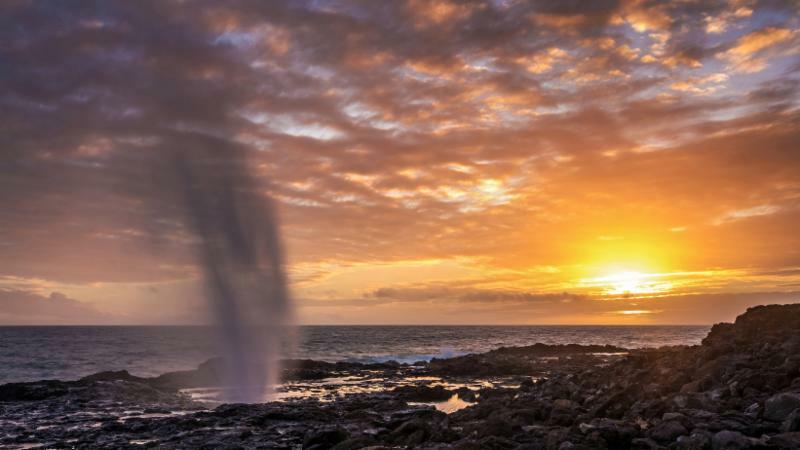 Spouting Horn is a blowhole located on the southern coast of the island along Lawai Road. Waves cause water to rush under the lava shelf and spout high into the air as it is forced up through a narrow tube in the rock. High tide and sunset are the best times to view Spouting Horn. There used to be an adjacent blowhole called Kukui’ula Seaplume; however, it was blasted away in the 1920s by a sugar plantation owner who did not like the salt spray damaging his crops. As a result, the blowhole only blows air which is emitted with a loud groaning sound. Legend states that this is actually the voice of a large and very hungry mo’o (lizard) who is trapped under the rock. 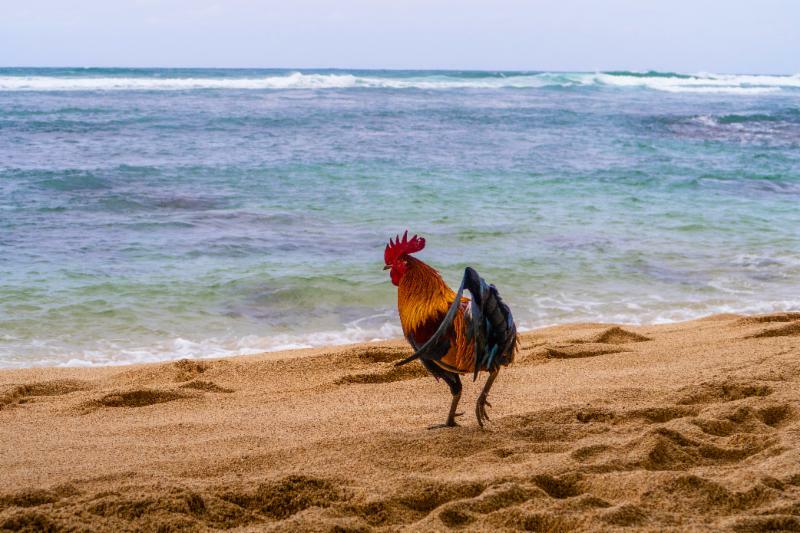 The mo’o once guarded the coastline and ate anyone who tried to fish or swim there. It is believed the blowhole was the escape route of Liko, a man who once dared to swim there and who narrowly escaped through the hole when the mo’o attacked him. The mo’o chased him into the hole and, subsequently, got stuck. The moaning and groaning sounds you hear are the hunger pangs of the starving mo’o who is trapped under the rock forever! Allerton Garden is managed by the National Tropical Botanical Garden for the Allerton Gardens Trust. 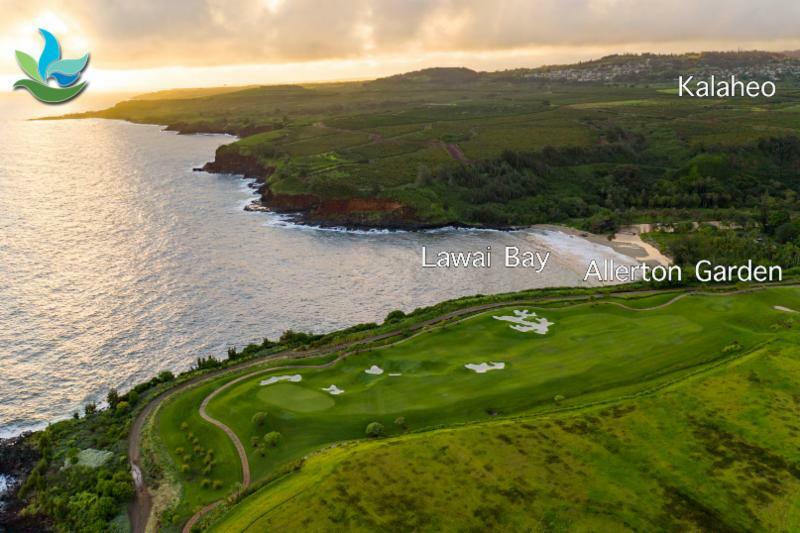 Allerton Beach (Lawai Bay) is difficult to access unless you are on a tour of the gardens or know how to hike along the rocky shoreline path to get there! Some boat tours will anchor in Lawai Bay for their passengers to snorkel and swim for awhile! Don't Forget to check out WEEKLY EVENTS - many of them are free! Listen to Polynesian drumming, watch a hula show, pose with parrots, feed koi fish, listen to live local bands, catch a ride on the Aloha Shuttle and more! The Poipu Beach Resort Association (PBRA) will host the 3rd Annual Poipu Food & Wine Festival, from November 7th through November 9th. The two-day event will celebrate Kauai’s diverse culinary resources and talents, while supporting the Culinary Arts Program at Kauai Community College (KCC). New to the Festival, is the Poipu Culinary Scholarship Gala, an exquisite epicurean event and benefit fundraiser on November 10th from 5:30 - 9:30 P.M.
16th Annual Old Koloa Sugar Mill Run - Hosted by The Rotary Club of Kauai on Saturday, November 10, 2018 at Anne Knudsen Park.The Half Marathon will start at 7:00 A.M.,the 5-K run and walk will start at 7:15 A.M., and, the 10-K run will start at 7:30 A.M. The run will include a breakfast and microfiber T-shirt. Breakfast will be served as the first finishers arrive at about 8:00 A.M. Attention all animal lovers and/or pizza lovers! It’s PIZZA FOR PAWS time!! For the whole month of November, Pizzetta in Old Koloa Town is donating 5% of sales on all Hawaiian Style pizzas to the Kauai Humane Society. Did you know that the coconut is not a nut at all? It is a stone fruit, or drupe like a cherry or an apricot. This can be confusing as the term “coconut” is used to refer to the entire coconut palm as well as to the seed or the fruit. If you are ever stranded on a deserted island, hopefully, it will have a grove of coconuts considering that numerous populations around the world refer to the coconut as the Tree of Life! That is sure to come in handy along with the numerous survival skills you have no doubt picked up from watching episodes of Survivor on TV. You can use the coconuts for housing, weaving really cool looking hats, hunting spears, sterile water, coconut shell spoons and cups, fuel, compost, cosmetics, or building a raft from the trunks and sailing out of there. 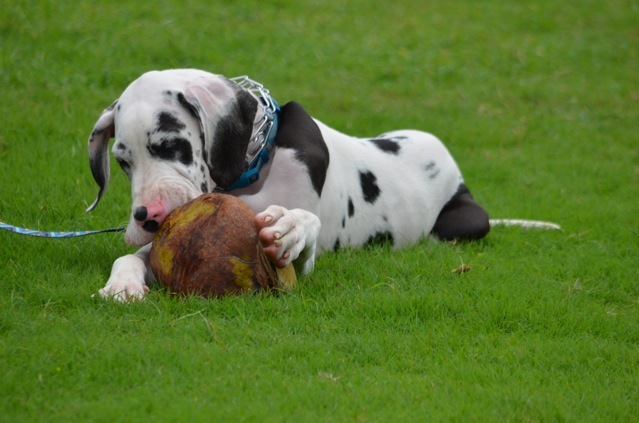 Or if you are Horton, you can occupy yourself for hours husking coconuts with your teeth! 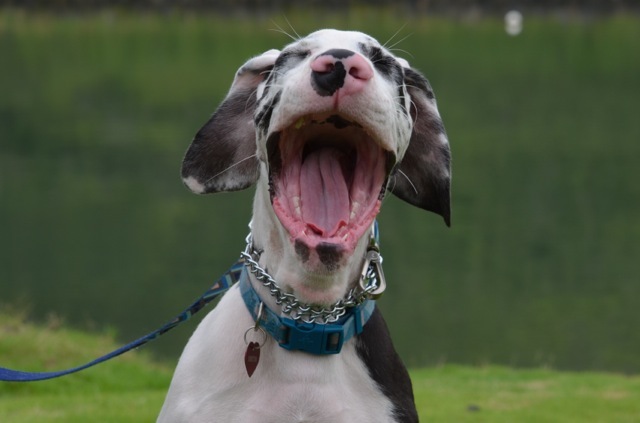 It seems a long time ago, or at least 50 pounds ago, since Horton lost his baby teeth. At 11 months old now he is weighing in at 125 pounds. Coconut husking is still a favorite past-time along with sampling all of the other plants in the garden! 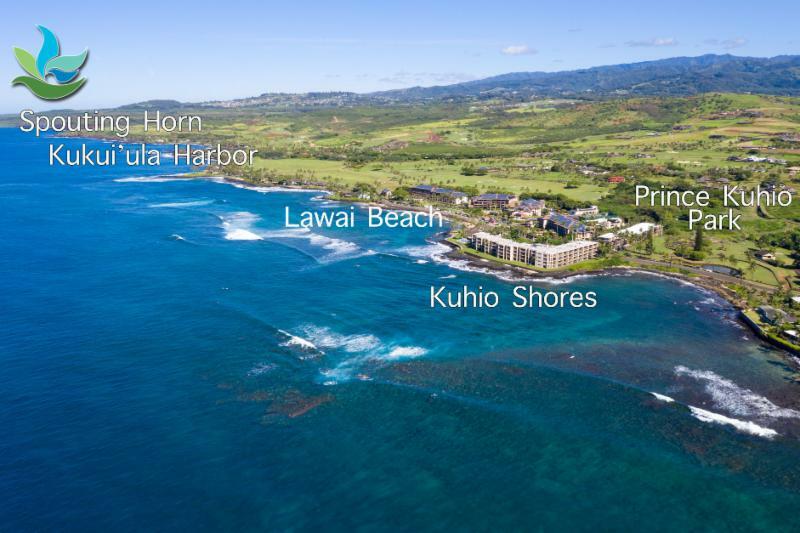 Explore our online EXPERIENCE KAUAI guide to plan your next vacation! View our Commonly Asked Questions covering topics like direct flights, weather, not to be missed, etc.